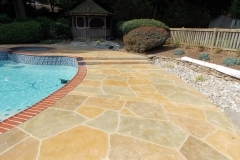 Stamped concrete is one of the most popular choices for property owners who wish for more decorative concrete surfaces at a more affordable cost. 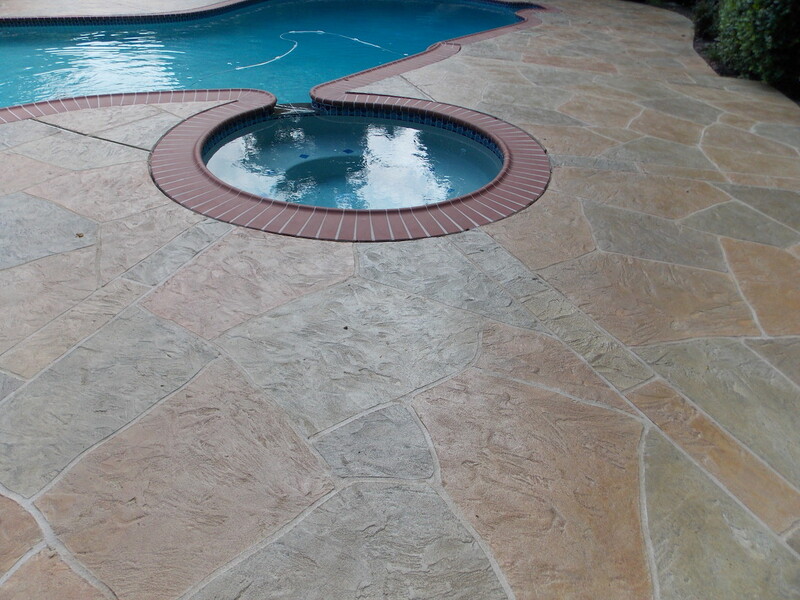 it offers a wide selection of patterns and designs. 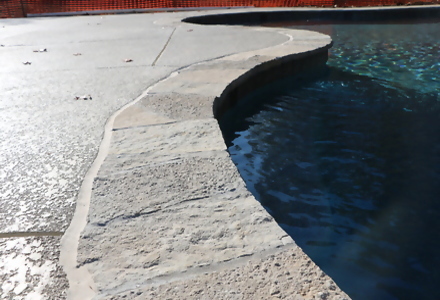 Imprinted or textured concrete, as it is also known by, can be done on both indoor or outdoor spaces but is more popular for concrete pool decks, patios, and concrete driveways. It can also be used for commercial settings. Its decorative and functional features are ideal for enticing potential customers and acquiring good profit. 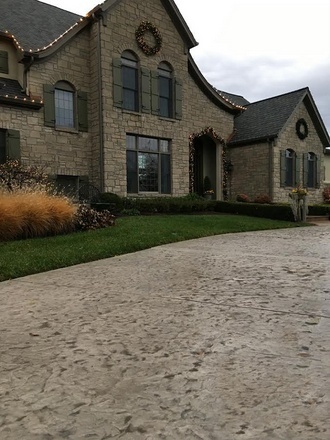 It is important for home and business owners to understand that stamped concrete is done on newly poured slabs, whereas stamped overlays are installed on existing ones as an enhancement or repair solution. They both use the stamping technique and decorative patterns. 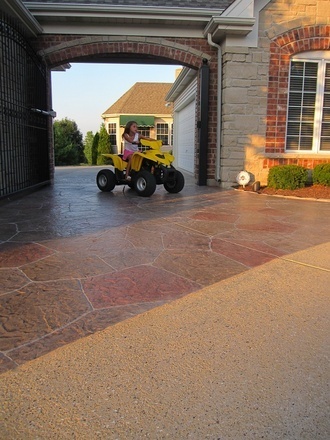 They are also both affordable alternatives to other paving options that involve expensive materials and procedures. 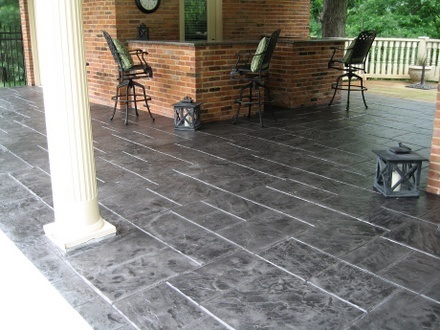 Stamped surfaces are undeniably appealing. 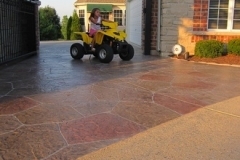 It can be designed to look like running bricks, natural stone, and other high-end materials. 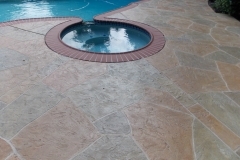 Staining the design will make it look more realistic. The textured surface enhances slip-resistance, making the surface safer to walk or drive on. 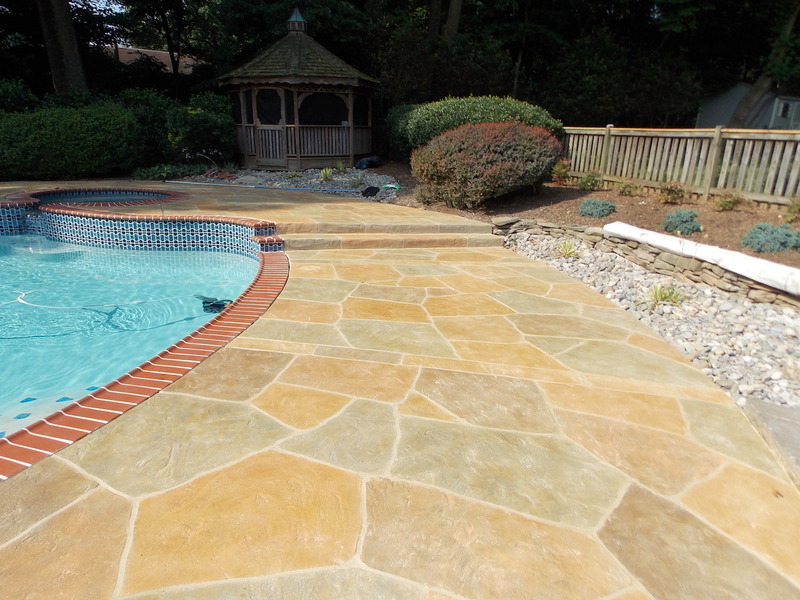 It can be done on indoor and outdoor surfaces, old or new, and both in residential and commercial locations. 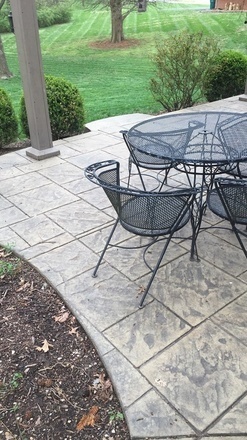 Cleaning and maintaining stamped surfaces is simple and easy. 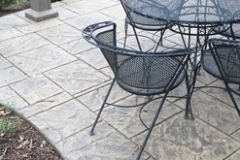 Although it mimics the appearance of joints and gaps, these are just shallow grooves. There is no way weed can grow in between them. 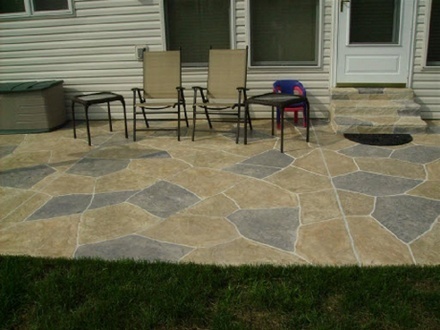 If properly installed and sealed, stamped slabs can last a couple of years or more. 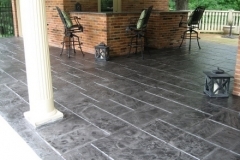 It is more affordable than most flooring and paving materials. Plus, it restores the existing slab, saving you money from slab removal and replacement. 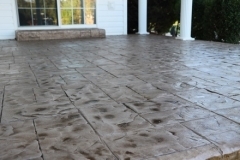 Concrete Stamp Textures, Patterns and Designs for Pool Decks, Patios, Driveways & More! 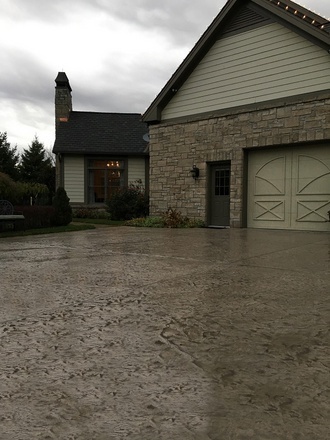 Compared to installing high-end flooring or paving materials, stamping concrete is more affordable. 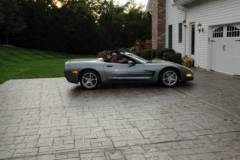 It can cost between $8 to over $18 per square foot, depending on several factors. 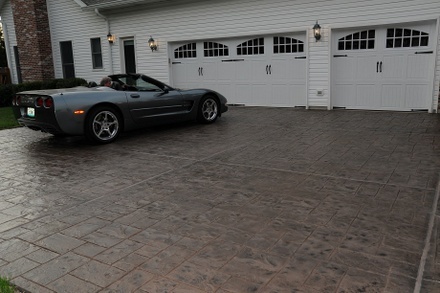 The project size plays a huge role in determining overall costs because the cost is calculated per square foot. 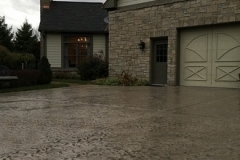 The type of pattern will also affect costs as more complicated ones may require more time and manpower. Additional enhancements like staining, scoring, and engraving will also add more to the total. 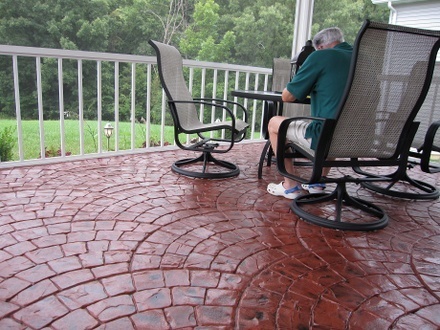 It is important for property owners to mention details like these to the contractor to make sure the quotation is an accurate one. 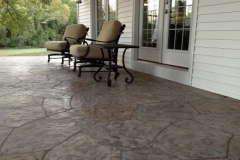 Want to know if Stamped Concrete is right for you? 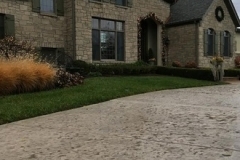 Call (972)808-5281 for a FREE consultation. When it comes to aesthetics, it is hard to beat what Stamped Concrete has to offer. 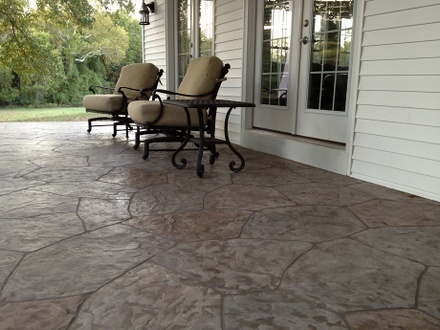 Dallas Decorative Concrete offers a virtually unlimited selection of patterns and decorative options. 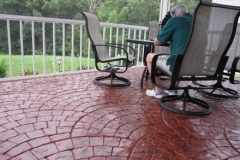 Our team of experts are highly skilled and experienced in stamping surfaces, old and new. 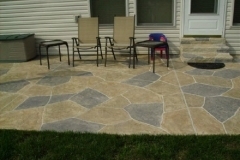 Call or email us today for inquiries and quote requests, free!